If you have a walk you would like to add simply click ‘View all Discussions’, and then ‘Create New Topic’. Fill in all the details of your walk, location, type of terrain, is it subtle for all or only experienced walkers? Is it mostly off lead walking? 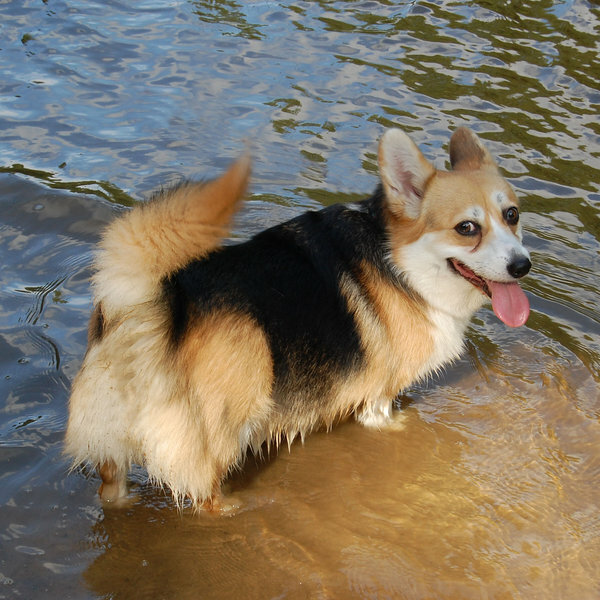 Are there any lakes where your dog could go for a swim? Make sure you give as much detail as possible. You can even map out your favourite route, and of course don’t forget to post a photograph of your pooch enjoying itself. Leaving a reply: Have you got something to add? The North East Dog Directory allows you to interact with other users all over the site; so if you have been on this walk, or similar, let us know!. What was your favourite thing about it? Would you recommend it? Have you got an amazing photograph, then leave a reply by clicking on 'View all replies' and then click 'Leave a reply'. Woodland walk with a purpose built dog activity trail. 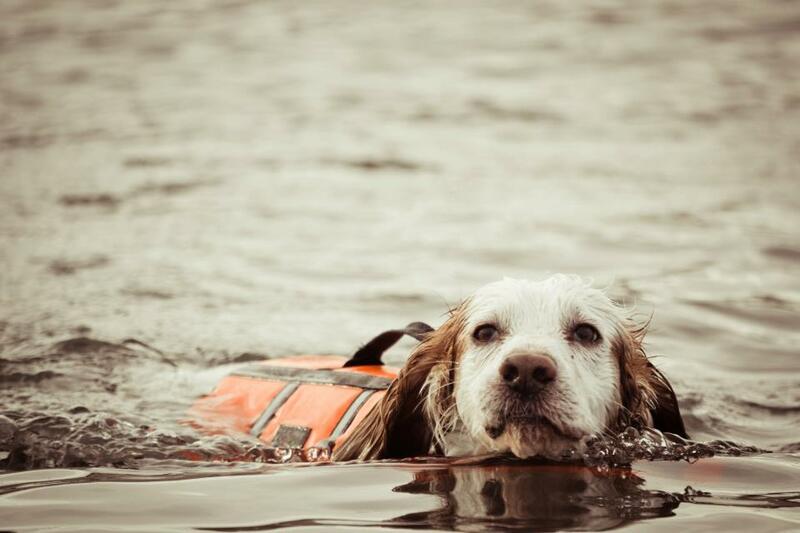 Look out for obstacles such as hurdles, woody weaves and the log walk and let your dog cool off with a well earned swim! Activity trail is 1.5 miles long, but there are also two waymarked walks that take in a lot more land - you could easily spend hours here! Dogs can be off lead the whole time as once you're away from the road and carpark, it's just miles of fields and woodland. However, there are gaps in the fence that runs alongside the road which you have to be aware of if you head to the left after walking down the path from the carpark and crossing the bridge. There is a carpark, as it's situated between Longnewton and Yarm. Operates a 'stick & flick' policy on dog mess. Be aware that there can be livestock in neighbouring fields (although I've only ever heard and not seen them), and occasionally you may meet horse riders. It's a good place to meet other dog walkers, but there is equal opportunity to walk alone due to the variety of routes that can be taken. There are several ponds, although dogs must be kept out of some as they're nature ponds. There are two at the end of the activity trail that dogs can swim in to their hearts content - my Springer loves these the most! 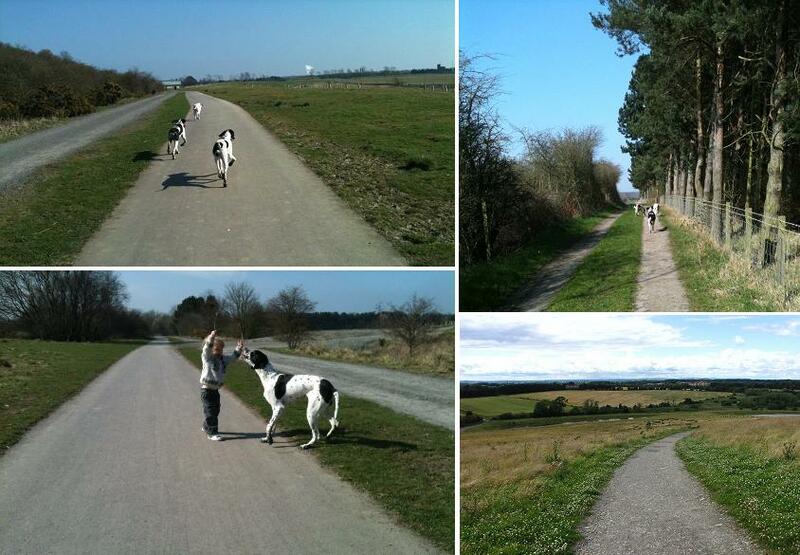 Lovely walk along Lanchester track, picnic areas and a river for the dogs to jump into. Lots of other dog owners along the track everyone very friendly. Formerly a colliery site. Has 2 car parks and picnic site. Various bridle paths through woodland, fields, and tracks. Dogs can be off leads, but as its a nature reserve be aware that there are birds on the water. Quite a flatish walk, and lovely surroundings despite being close to the airport. Our dog loves it here as do we. Generally comes back to the car with the look of muddy wellies!! Time varies depending on how far you wish to walk for and which pathway you follow. See the stunning views over Northumberland in this walk. Keep Bolam Lake on your right hand side and follow the road round the corner and take a sharp left. Go past a few terraced houses and you will also pass some large trees then over a cattle grid. The farmer lets you park in this field on the right hand side. Follow the road through the field and accross the next cattle grid, and through a working farm, with all the fresh country air smells!! Continue on this path and head up the incline past an old walled orchard. Terrain ranges from road, track, and moorland fields. It is a circular route, but as there are grazing animals, dogs need to be on their leads. However, Bolam Lake is within walking distance for an off lead run through the woodlands. Plessey Woods Country Park is set in 100acres of woodland, meadows and riverside. Plenty of parking and good public transport links.Plessey Woods Country Park is on bus routes from nearby towns including Blyth, Cramlington, Bedlington, Morpeth, Ashington and Newcastle. Bus stops are at Hartford Bridge, Hartford Hall,and Hartford Bridge Village. There is a vistor centre, with toilets and a cafe (which does a lovely cup of tea!) and although there is a small charge for parking, it is definitely worth it. Stunning woodland with a wonderful river which is perfect for swimming for people and dogs alike. I can easily walk in these woods for hours, no matter the weather. There are handy poo-bag dispensers and water bowls at the main entrance, and many picnic and barbecue areas throughout the park. Merlin and Pixie love the woods, even if their short corgi legs get tired on some of the steeper stepped areas, and they are very relectant to go through the streams rather than over the bridges! But there is a wide path that leads down to and along the riverside, which should make that area accessible for visitors with diabilities. The history of the place is fascinating too. The whole area has such a fantastic atmosphere. And the wildlife! You might see a kingfisher or an otter! The stream as you leave/enter the woods is great for cleaning muddy paws on the way back. Remember, there's no such thing as bad weather, only bad clothing choices! 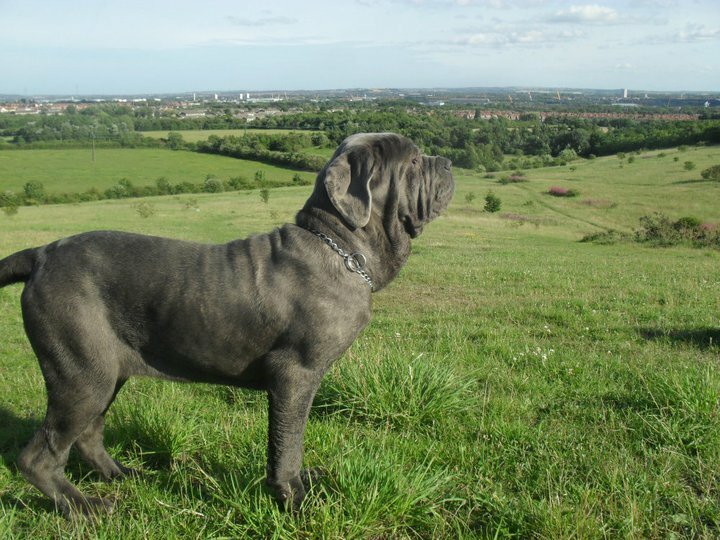 This walk is suitable for all ages of dogs and of course people, it is situated just outside of Newcastle upon Tyne on reclaimed land, there is a tarmac road so it is suitable for wheelchairs and pushchairs - it is up to the walker how far they would like to go. 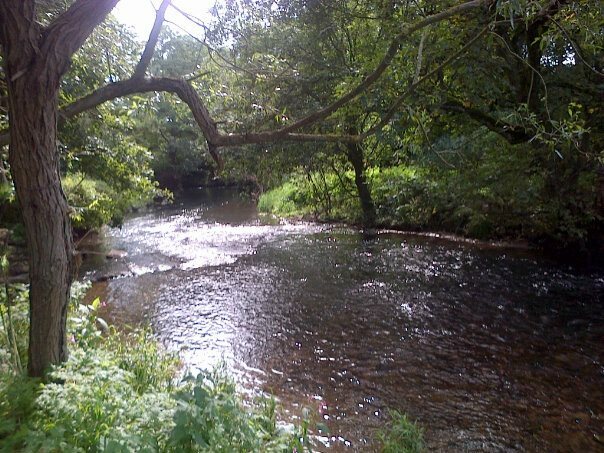 The River Derwent runs through the walk, where the dogs can enjoy a dip on a warm summer's evening. There is an abundance of wildlife including deer, kingfishers, red squirrels and different varieties of butterflies, and a treat is to see the Red Kites flying overhead. The walk around the lake is very picturesque with many different species of wildfowl on it. Picnic tables are provided for those that want to rest their weary legs and take in the sights and sounds of the area. Litter bins are also provided. Dogs are allowed off lead but must be kept under control and not allowed to swim in the lake as there are breeding swans on the lake. 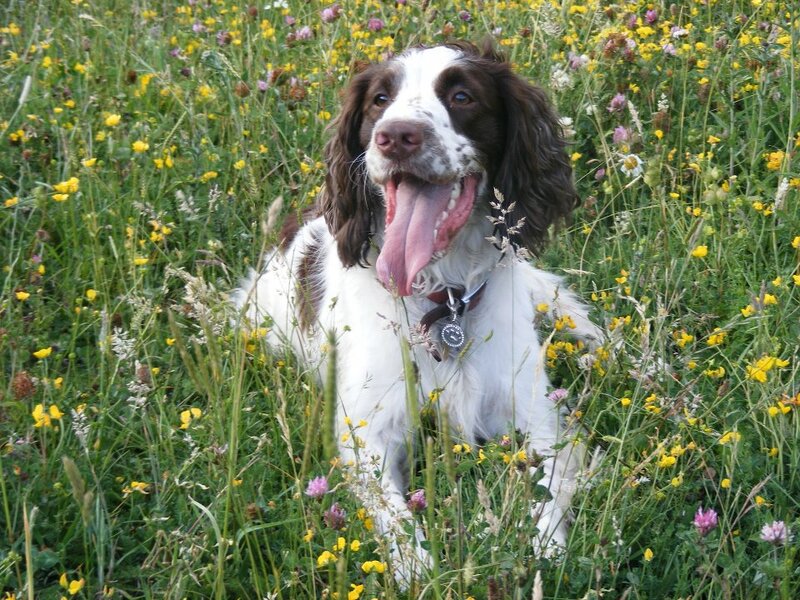 One of my dogs, Oliver, particularly likes the meadow as you can see by the photo. A very enjoyable walk for both dog and owner. When I moved to Newcastle from my previously more rural location, I was so happy to find somewhere nearby where my dogs could free run happily and safely. This beautiful nature reserve park is located Between Wide Open and Dudley, at the junction B1319 /A189 just north of Gosforth Park. There are many routes you can take in the 43.00 hectare area, either sticking to the purpose made paths (Ideal if you are a young Mother with a pushchair or a wheelchair user) or going off road and even access around local farm land is granted, providing you keep to the paths. The walk can also extend down the cycle routes for another good mile. It is a former colliery site, this reserve has been extensively landscaped to create a wildife haven on the edge of the city with a hill, grassland, scrub, reedbed and woodland areas. There are ponds that although are restricted access, the dogs tend to go down for a drink or a paddle in the warm weather! The park is open all year, 24/7 and well maintained by the Wildlife Trust. Walkers are expected to pick up their dogs poop and litter is collected daily. There is ample parking and disabled spaces available. It does get busy in the summer, walking groups, picnicers and wildlife enthusiasts tend to accumulate when the sun shines, I tend to go early and have a park almost all to myself! Lovely! Mill Walk, Warkworth, Northumberland - two miles, scenic, shaded, mainly flat with one optional flight of stairs. This lovely short and easy walk is featured in the Warkworth Heritage Walks guide book if you have it. Start in Dial Place Warkworth (free parking) and walk down the side of St Lawrence's church towards the river, and bear left. Alternatively drive down the side of the church and park on 'The Stanners', as it is called. This area of the River Coquet is used for picnicking and there are many swans and ducks on the grass expecting to be fed. Lots of dogs are 'off' the lead here but please do watch the cars which can be unpredictable. Continue walking along to the weir and you will see a dog bin. Continue walking along and you will see some benches and a sign saying 'Mill Walk'. No bicycles are allowed on here. It is a shaded walk with benches along the way and lots of wildlife to look at on the river and lots of interesting smells for your dog, it is a very popular walk. As you approach the rowing boat jetty there is another dog bin at the foot of the steep slope up to the castle. Continue past the jetty and you will eventually come to a gate which precedes the English Heritage ferry boat to the 'Hermitage'. Follow the path up to the slight hill on the left and it leads to a paved road - bear to the left again, and beware of vehicles as it is the road used by the Water Works. You will see an opening on the left to a field path and a dog bin, behind the houses in the Morwick Road. This path continues to another field, and you will see the castle and the sea in the distance. Continue along this path. There are steps down to the moat and the lower path - if you can't do steps, go to the right of the castle and you can walk down to the main road. 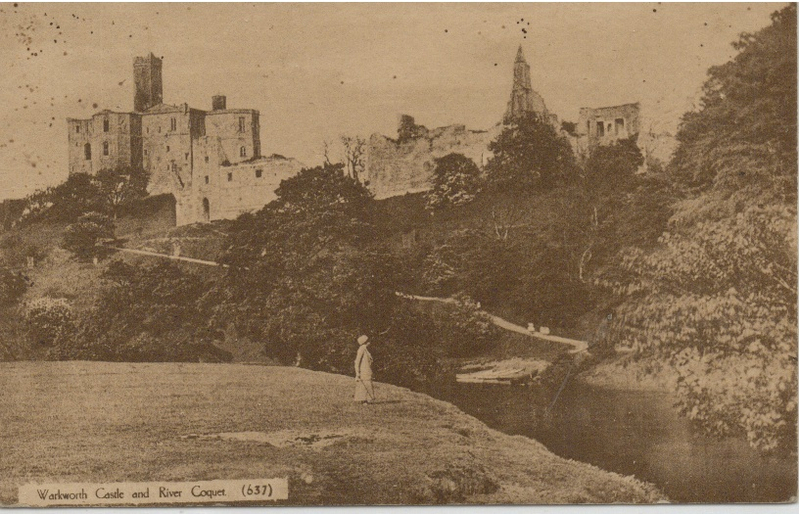 Follow the path alongside the castle and you will find another dog bin and you are at the top of Castle Street. My dog normally likes to end this walk by crossing the road and going down the alley behind Roxboro House - coming out at the Millenium Garden at the bottom of the village. We then go to the Black Bull and he has a biscuit from Dave and a drink of water! Fabulous walking in acres of Nature Reserve but within easy access of Blyth, Cramlington, Seaton Sluice and surrounding areas. The reserve includes areas of open fields, wooded walks, hills and even a pond suitable for swimming! There are several benches and seats for walkers to have a breather and a couple of car parks. The whole area is fenced and there are many little paths to follow which change the walks every time. Great for people with super active dogs who need room to run, but it rarely gets busy! There's so much room you can all spread out! Terrain is partially wheelchair friendly as there is a path along one side of the reserve. There are no toilet facilities. You can spend any amount of time there from 10 minutes to 3 hours! Make sure you include as much information as possible in your Walk topic. Where in the North East is the walk? How long is it? What sort of terrain is it? Is it mainly on lead walking or off lead? Is it wheelchair accesible? Is it a 20minute walk or a 5 mile hike? Pick your best photograph and upload below. We will choose a favourite walk every month to share on our Facebook and Twitter pages, so make sure you tell us a good story.